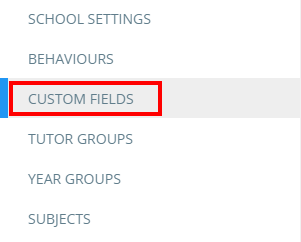 As custom fields are added to your school's Class Charts account, it may be necessary to make changes to their appearance. To edit the appearance of a custom field, click on the three lines menu and select Custom fields from the list of available options. You will be presented with a list of your school's applied custom fields. Click on the pencil icon next to the custom field of your choice to begin making changes to its appearance. If editing a yes / no field, you will be prompted to change the field's displayed icon. 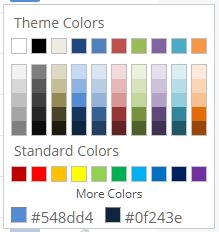 If editing a text field, you will be prompted to change the colour of the field's icon.